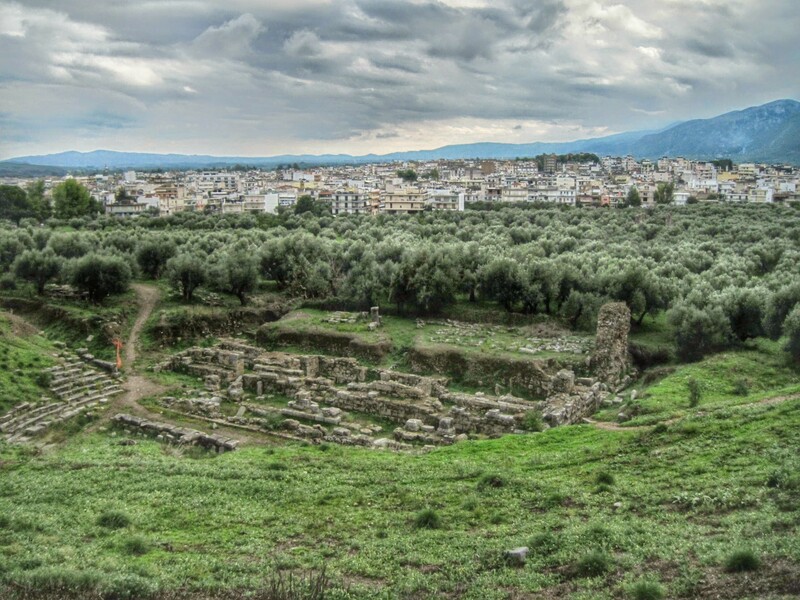 In our previous installment covering the first half of the first millennium BC, we saw the Greek culture grow and develop, leading up to an explosion of culture and history in the period we will cover today, the 5th century BC. This is considered to be the classical era of Greece, and especially of Athens as that was the center of much of the development. 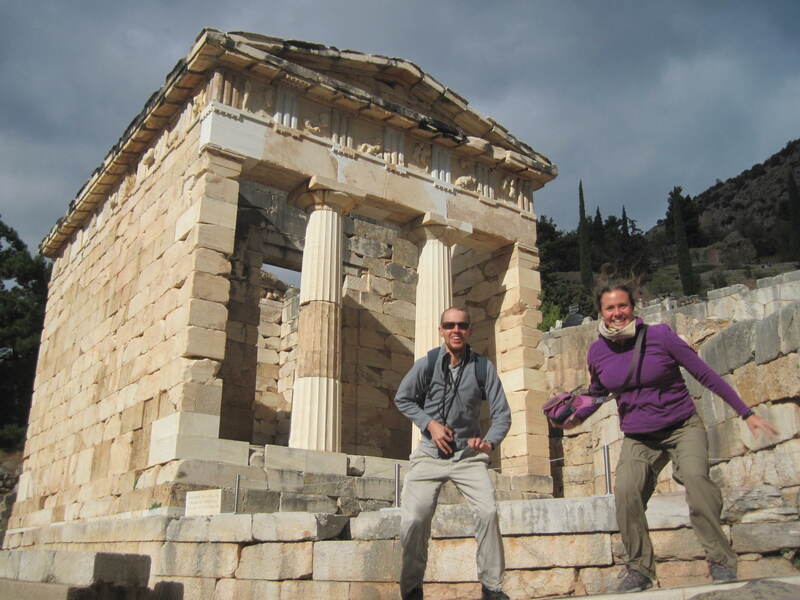 The sanctuary at Delphi was surrounded by structures built by the city-states of ancient Greece, given as offerings to the oracle in thanks for the good advice. After Athens defeated the Persians in the battle of Marathon (the one that gave the modern race its name), the city dedicated a treasury in Delphi to show its thanks and display the spoils of victory. King Leonidas led the militaristic city-state of Sparta on the Peloponnese peninsula. He died in the battle of Thermopylae against the Persians (the same battle dramatized in the movie 300). 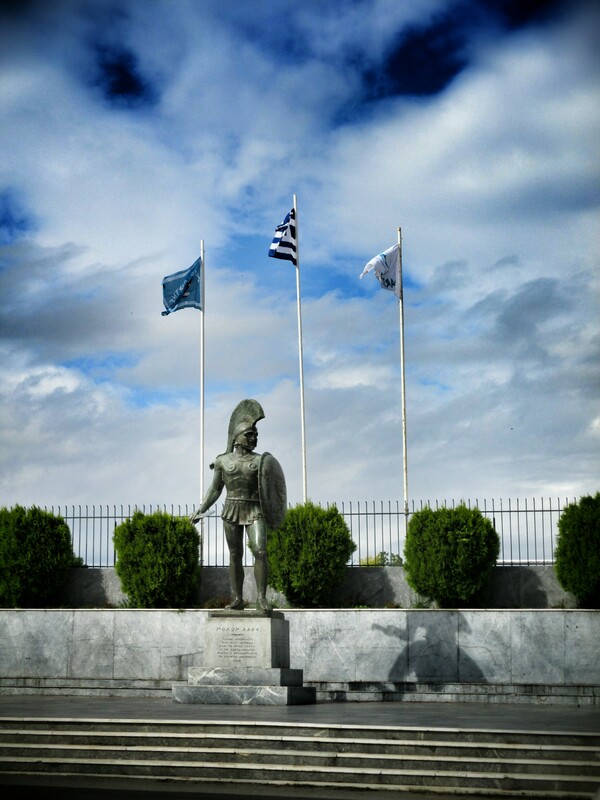 There is a large contemporary statue of him in the modern city of Sparta which we visited. 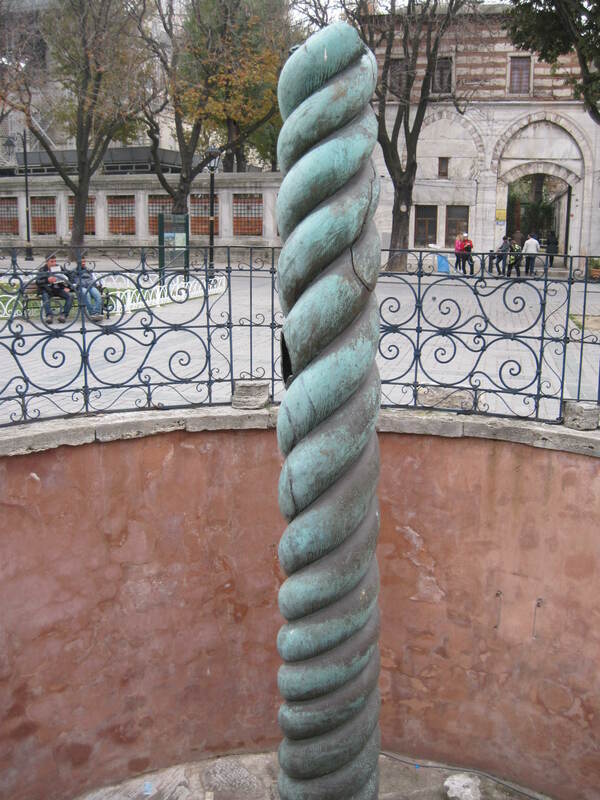 We actually saw this column at its current location in Istanbul. Emperor Constantine moved the column from Delphi to Constantinople for use as a decoration at his new Hippodrome. 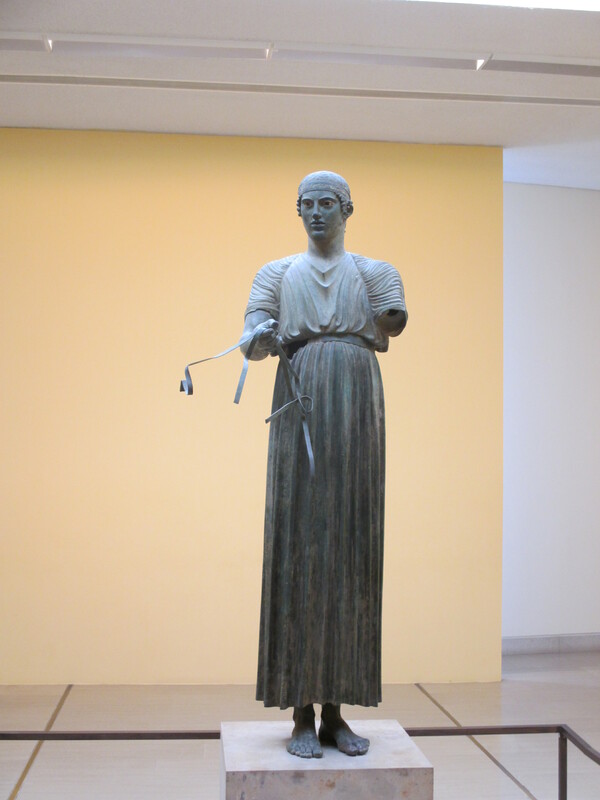 We viewed this well-known striking bronze sculpture at the archaeological museum in Delphi. 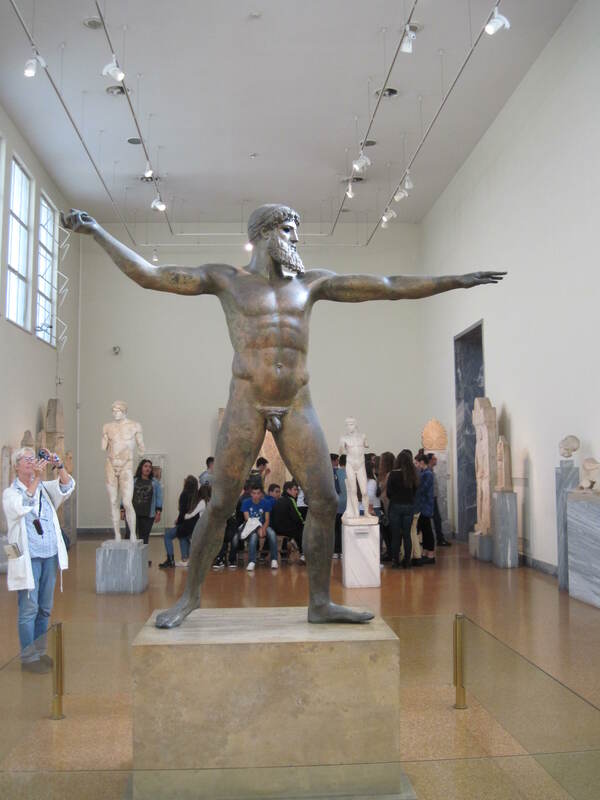 Art historians don’t know if this depicts Zeus or Poseidon, since he could either be hurling a lightning bolt or a trident. The date for this sculpture is also just a guess, because it was found as part of a shipwreck about which not much is known. 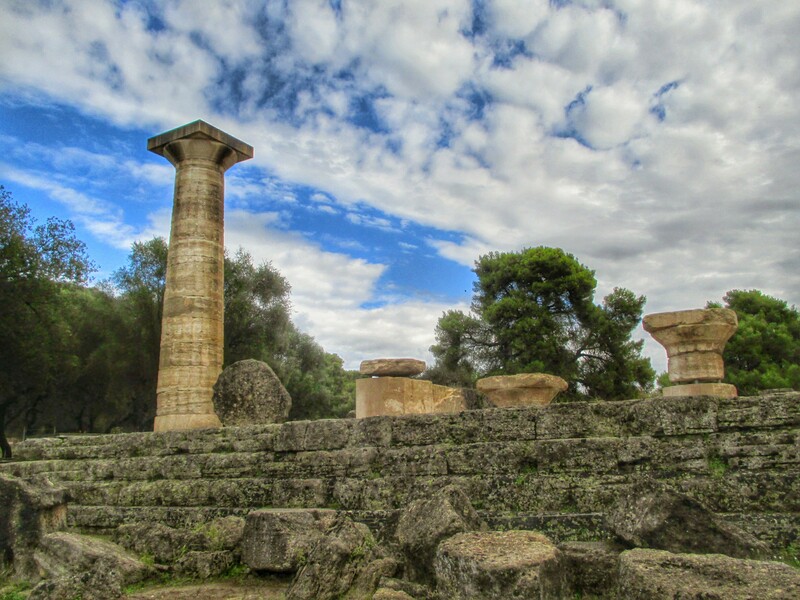 This was the largest temple at Olympia. 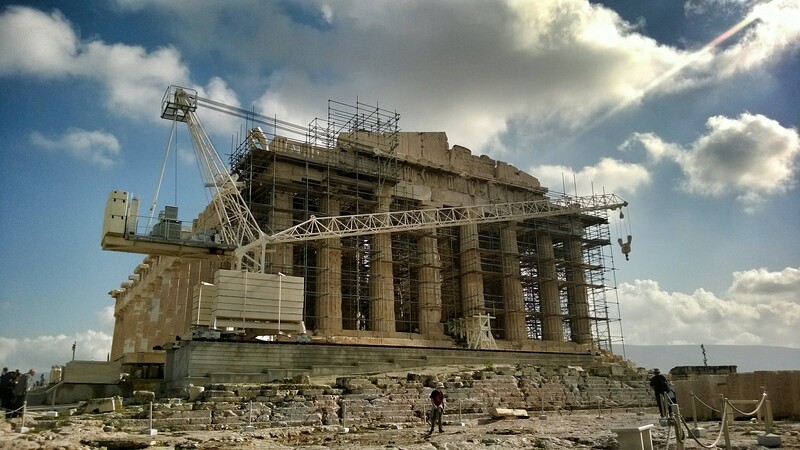 Today, only one of the massive Doric columns has been reconstructed. 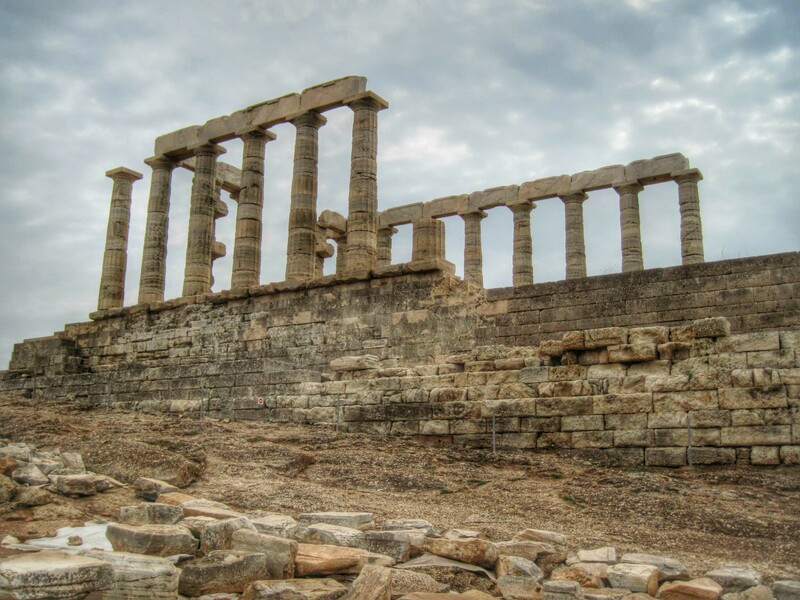 This temple, located on a promontory overlooking Cape Sounion, was a pilgrimage site where those about to take a sea voyage could make offerings to the god of the sea. 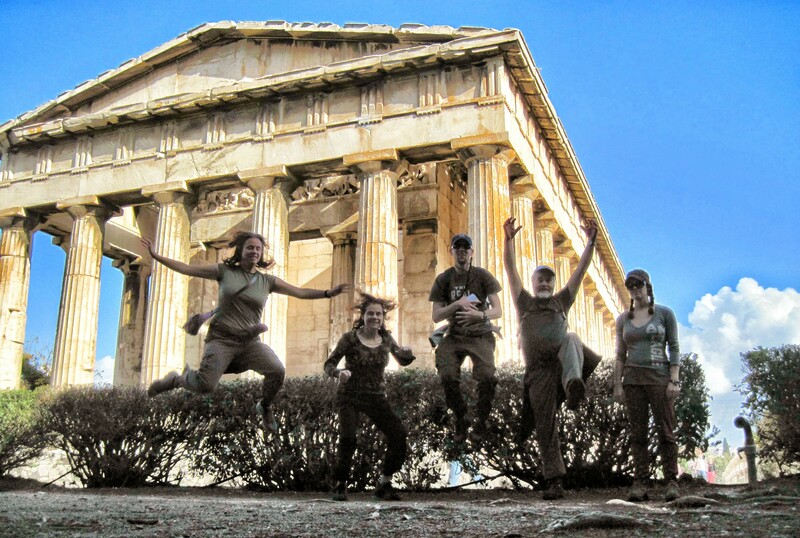 The classic Greek temple dedicated to Athena, the patron of Athens, sits on the acropolis overlooking the city below. The decorative sculptures have been removed and it is under recontruction, but just seeing it in person was a great experience. Athens dominated the Classical age of Greece, but it didn’t last for too long. War eventually broke out between Athens and the Peloponnesian city-states (led by Sparta). Costs for the war drained money from the treasury, and the ceremonial entrance to the Acropolis, the Propylaea, was never completed. The dynamic sculpture is missing a few pieces these days but still does a great job of conveying motion. This small temple is found on the southwest corner of the Acropolis. This was the oldest Ionic temple that we saw. 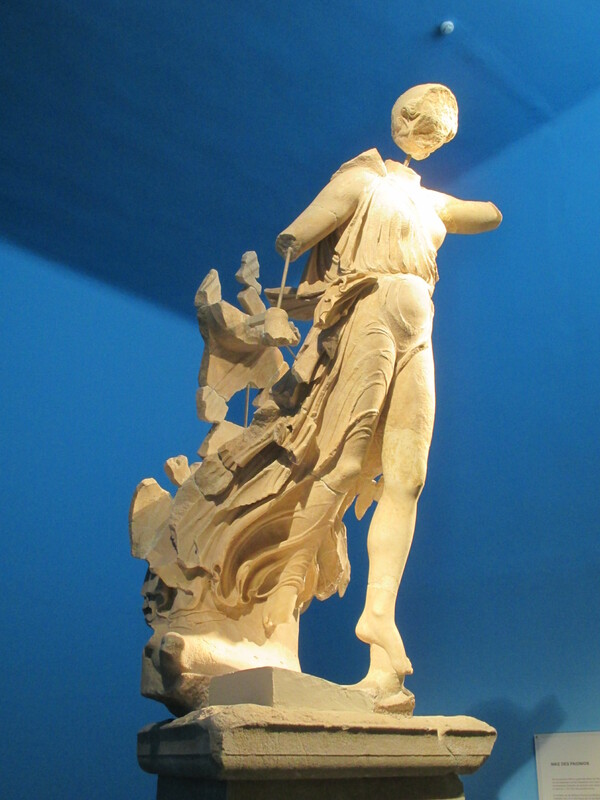 Nike means victory in Greek, and Athena was worshiped in her victorious form here. Note the date – the Athenians were praying for victory in the Peloponnesian War which was still going on. This Doric temple, found in the Ancient Agora of Athens, is one of the better preserved temples that we saw. 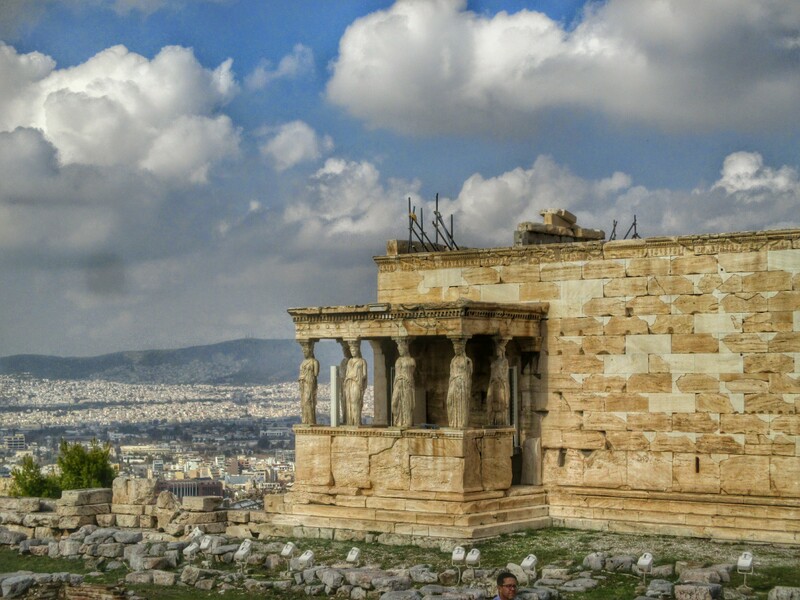 The Erechtheion is a temple on the north side of the Acropolis, dedicated to both Athena and Poseidon. 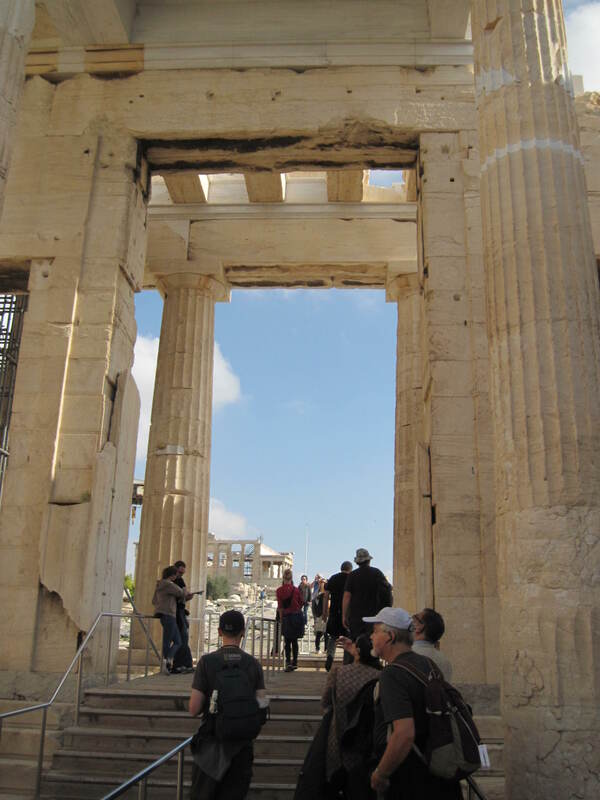 Arguably its most famous feature is the “Porch of the Caryatids,” where the columns holding up the roof were carved into women in flowing dresses. We visited Sparta, but there was much less to see there than there had been in Athens. Its culture was much more focused on the military than it was on building grand temples. After Athens lost the war, its time as the dominant force in the region was over, and its boom of monumental architecture was through. 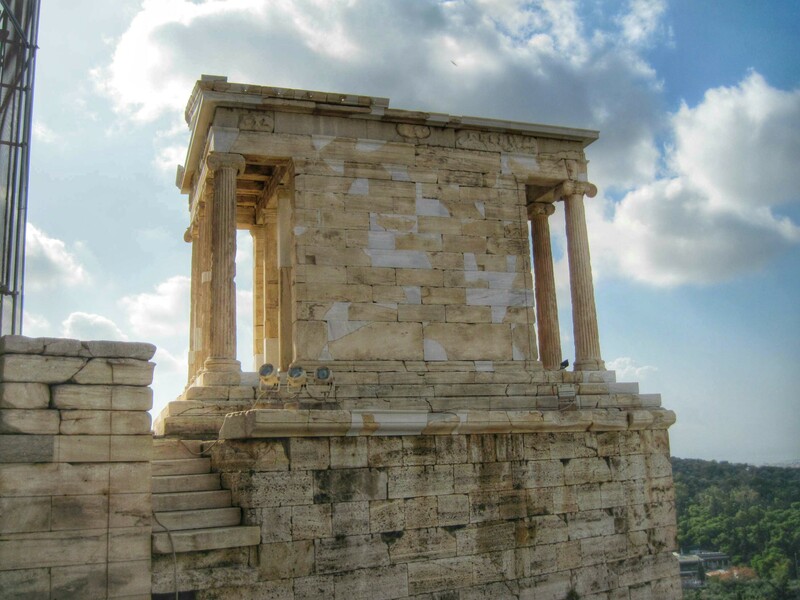 Structures like those seen on the Acropolis in Athens were never to be equaled. However, as you will see in our next entry, covering the fourth century BC, there would still be many sites in Greece producing architectural gems that are world-renowned to this day.